I’ve been blogging now for a little over four years but I feel I need to welcome a whole new set of people who have just started following my blog from all over the world. So welcome aboard ! 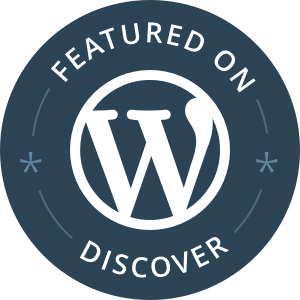 A recent post – Above the clouds – was featured as an Editor’s Pick on WordPress Discover this week, “a daily selection of the best content published on WordPress“. It was a complete surprise to have a post selected, as well as flattering. It also sent my blog into a spin: over 300 likes and over almost as many new followers in less than a week… and counting. I’ve struggled to keep up with the number of comments and notifications flashing up on my screen. This was a great reminder of the internet’s reach. My own little blog was suddenly exposed to a worldwide audience, with new followers from across Asia, the Americas, Europe and elsewhere. The power of the web provided a brief flicker of attention numbering in the millions rather than just hundreds or even thousands. It was a huge boost to my blog’s ‘numbers’. But blogging is much, much more than simply a numbers game, right? We didn’t start blogs to be liked or compete against others: we’re faced with enough of those pressures at work, in our careers or in our social lives. So why do we blog? Why do I blog? And what can those who are new to Wild about Scotland expect? Nowadays, so many people start blogging and feel like they need to “get” something out of their blogs. But in fact, blogging is giving. When you write a cookbook, you are sharing recipes. With a blog, beyond recipes and travel tips, you are sharing more of your daily life with readers, and I think they appreciate honesty, rather than being talked to as if you are trying to get something out of them, like traffic or monetization. I like this sentiment and it really chimes with why I started blogging. As I said in my very first post back in 2012 Wild about Scotland is a way for me “to share my enthusiasm for exploring Scotland and its wilder places. I’ll learn as I go. In addition to the challenge of starting a blog, I’ll find some new outdoor challenges to address and through its posts hopefully can inform – and be informed – about life’s big adventures”. So what can readers expect from this blog? Escape: This is about escaping into the hills, along back roads and byways – hiking, biking, paddling, camping and in my campervan. In each section you can read posts about recent trips, advice and tips, as well as relevant product reviews. Explore: In this section you can delve more deeply into some particular interests including seeing the northern lights, owing a VW California campervan and cycling the length of the UK from Land’s End to John O’Groats. Experience: This section is aimed at visitors to Scotland and focuses on my series of recommendations for the very best places to visit, eat, stay and experience across Scotland. From my Top 10 Scottish islands to visit to the best beachside campsites, there’s something for everyone who loves Scotland’s outdoors. Most of the 250+ posts on my blog are shared in a way that others can access and hopefully be inspired. But much of it’s also just for me. This might sound selfish but my blog also serves as my “to do” list. There are lots of trips highlighted here that I haven’t done yet, so I regularly return to particular articles when I’m thinking about somewhere new to go. When I’m going off backpacking I simply dig out my kit list and select some recipes that I fancy trying. Having a “to do” list also keeps me inspired and active. This year, for example, I’ve taken up sea kayaking in a more serious way. So, expect quite a few more posts this year on paddling escapes around Scotland’s lochs, bays and islands. But blogging definitely has to be a two-way thing. You get inspired by finding great new blogs, and getting supportive comments and feedback (as I have this week) is a fantastic way of keeping you motivated and thinking about the next few posts coming up. Just love this, what a wonderful post. Hi Carol, thanks for your very kind words – really appreciated. I must admit that I’ve never been to Orkney. I’ve looked over the water from the north coast as I cycled by but didn’t have the time to visit unfortunately. The Visit Orkney guide (http://www.visitorkney.com/) will be useful in case you haven’t found it yet. Also, VisitScotland have an online community where people share tips and recommendations. I see there’s a page all about the best things to see and do in Orkney https://community.visitscotland.com/discussion/comment/4711#Comment_4711 (nb you may need to join the site first). I hope you have a great trip over from Australia !